The Development Scenario Pack: Want to learn more about the Former technology and its inventor? Then look forward to the Development Scenario Pack and find out what happened to the Inventor Josh “the ghost” Steen. Help him achieve his greatest invention against all odds, and unlock his portrait by fulfilling all missions. The Keeper Pack: The Former technology is one of the greatest scientific achievements of all time. 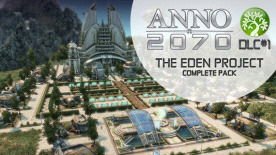 With the Guardian 1.0 you get access to this powerful technology without playing through the Eden Project World Event. It comes along with a unique skin for the Former Technology tool and as well as access to high-end upgrades, making it an even more decisive asset.